NSW has a long history in the land defence domain. 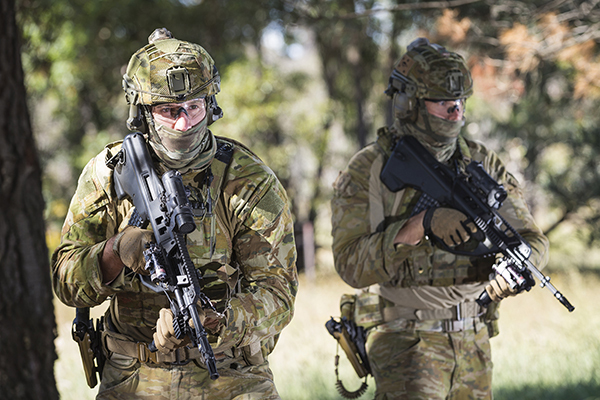 The Lithgow Small Arms factory has been manufacturing military weapons – including the latest ADF small arms - for well over 100 years. Regional NSW is also home to the Mulwala factory, which produces high quality propellants and ordnance. Other land focused industries in the state include Australian Target Systems in Albury, a leading manufacturer of moving target systems. Nearby manufacturer Milspec makes power systems and vehicle parts used in a range of military and fighting vehicles. Another essential supplier for armoured vehicle manufacture is Bisalloy, based in Wollongong. Bisalloy works in close collaboration with BlueScope Steel and the Defence Science and Technology (DST) Group to manufacture a range of defence and ballistic grades of steel. Wollongong steel is not only found in armoured vehicles, as it is also supplied for a naval shipbuilding. In terms of Army basing, major establishments in the state include Blamey Barracks, Wagga Wagga, home of the Army Recruit Training Centre (ARTC). Soldiers have trained at the site, which has had various unit names, since 1942. Major army establishments are also located at Holsworthy in the Liverpool area of Sydney and at Singleton in the Hunter Valley. Victoria Barracks in the heart of Sydney is the home of Army’s Headquarters Forces Command.